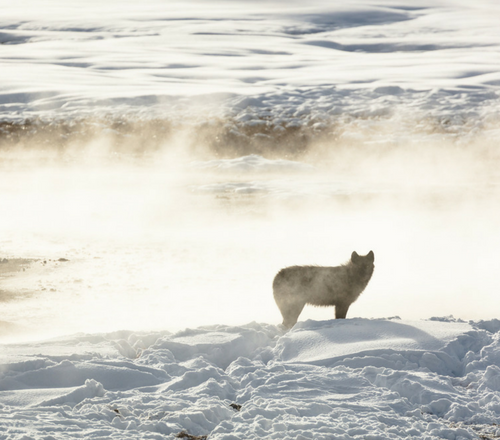 Northern Yellowstone, just a few miles south of Gardiner, is one of the premiere destinations in the world for watching wolves in the wild. While sightings aren't guaranteed, you can drive through the park and find expert information from park rangers and biologists who will be all too happy to share information about these incredible carnivores. You can also increase your chances of a sighting by going out with a GARDINER-BASED GUIDE, who are intimately familiar with the park and where to spot those charismatic carnivores. Is there anything more relaxing than soaking in naturally occurring warm water, the snow falling softly around you? The Gardiner area offers three options for hot springs enthusiasts: Chico Hot Springs, Yellowstone Hot Springs, and the BOILING RIVER. If you opt for the more rustic experience at the Boiling River, be sure to follow Yellowstone National Park regulations and only plan to soak during daytime hours. Imagine gliding past steamy thermal features, wooly bison covered in frost, and snow-clad evergreen forests. 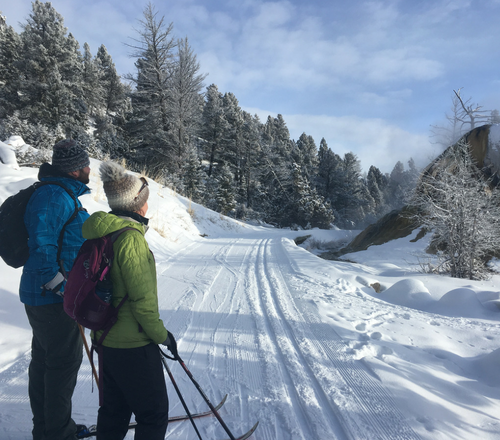 Cross-country skiers of any age and ability will find a trail that’s right for them in Gardiner, Montana, but what makes the experience truly special is the incredible scenery and opportunities for solitude. To learn more, check out a list of our favorite cross-country ski trails. In the wintertime, we like to think of Yellowstone National Park as having two distinct sections: the Northern Range and the Interior. The Northern Range is open year-round to private vehicles, and is only accessed from Gardiner, Montana. The Interior, which includes major attractions like Old Faithful and the Grand Canyon of the Yellowstone, is only open to oversnow travel—snowcoaches and snowmobiles—during the winter months. Because of its limited access, the Interior offers a once-in-a-lifetime experience for park visitors. 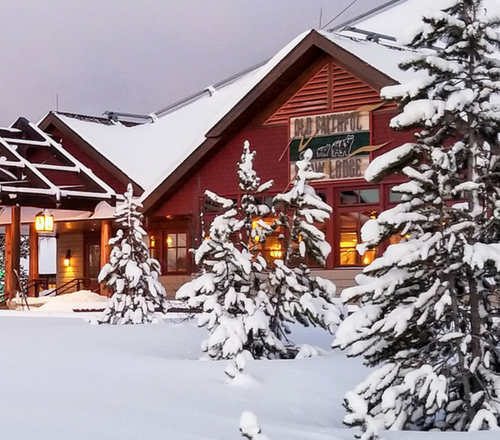 Imagine cozying up to the fire at Old Faithful’s Snow Lodge after a day of cross-country skiing past dramatic thermal features and frost-covered bison. The crowds of summer are long gone, and those who remain quickly feel like family. If this sounds appealing to you, Yellowstone National Park Lodges provides in-park lodging, meals and services at Old Faithful, and comfortable snowcoach transportation to/from Old Faithful from Mammoth Hot Springs (just five miles from Gardiner). Activities include guided wildlife watching excursions, snowshoe and ski tours, and snowcoach sight-seeing tours. Planning a trip into the Interior requires a fair amount of planning, but Yellowstone Forever and Yellowstone National Park Lodges make it easy with this all-inclusive Lodging & Learning package.